Comments on Mike Ladd’s review of Australian Poetry Since 1788, edited by Geoffrey Lehmann and Robert Gray, UNSW Press, in The Sydney Morning Herald ‘Spectrum’ November 12-13 2011. From time to time we will make some brief comments on reviews which have appeared in other publications which we feel are interesting or which, in our opinion, deserves to be revisited for whatever reason. 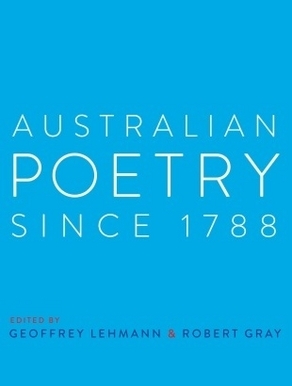 The first review we would like to draw to your attention to is Mike Ladd’s review of Australian Poetry Since 1788, edited by Geoffrey Lehmann and Robert Gray which appeared in the SMH of November 12-13. While it is unlikely that I will end up spending close to $70 for another anthology of Australian poetry (and given the size of this collection – 1,108 pages – I doubt my aging bookcases could support another large anthology), Ladd did make a number of interesting points about this new addition to the pantheon of Australian Poetry Anthologies. One of the interesting points Ladd makes is in relation to the reasons behind the anthology, quoting the editors saying that the anthology is not meant to be “representational” but based on “literary quality, accessibility and enjoyment”. Ladd also makes the comment that some may view this anthology as “conservative collection, selected as it is on the pleasure principle and favouring poems that show control and craft.” Ladd then goes on to say that the conservative tag is somewhat unfair as the collection includes Jas H Duke, Alan Riddell, Alex Selenitsch and π.0. Later in the review Ladd returns to this issue when he makes his major criticism of the anthology for leaving out Michael Dransfield “I must say the decision not to include anything by Michael Dransfield seems cavalier, almost an attempt to rewrite our literary history.” For Ladd the omission of Dransfield appears to be the anthology’s major fault. Of course without seeing a complete list of who’s in it is difficult to determine the exact seriousness of Dransfiled’s omission but it is interesting Ladd spends so much time on it – even suggesting in his conclusion that if you do buy this anthology you should also seek out a copy of Voyage into Solitude just to ensure you have the last 223 year of Australian poetry covered. One other point worth noting is that in a number of comments on various discussion sites the point has been made that if you start Australian poetry from 1788 you exclude all Aboriginal song cycles etc that pre-date European Australia. Ladd does make the point that the collection does include Aboriginal Song Cycles that pre-date 1788, but they are placed in the chronology under the date they were translated – which is, I guess, an interesting way of getting around the title. All in all an interesting review by Ladd of an anthology which I probably wouldn’t have gone out of my way to chase down. Given some of the contradictions and issues Ladd has raised, however, I may check it out when and if it arrives in my local library. This entry was posted in Australian Poetry Since 1788, Books, Geoffrey Lehmann, Issue 1, Mark Roberts, Mike Ladd, Robert Gray, Writers and tagged Alan Riddell, Alex Selenitsch, π.0, Jas H Duke, Michael Dransfield, Voyage into Solitude by Mark Roberts. Bookmark the permalink.